Happy Anniversary and may there be many, many more wooly ones to come! Woo-hoo, happy knitaversary!! It's a thing to celebrate, for sure. AWWWW! 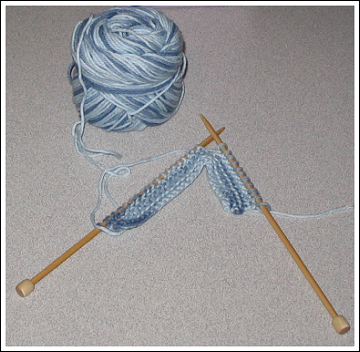 I'm so glad you started knitting and had such a great friend to help you. I'm so glad you have this blog too... because you give good recipe. Really? Only a year? It seems like I've known you a lot longer than that. Congratulations on the mile stone. It seems that we just knit..until we look back on the things we have accomplished in the last year. That's the really cool part of a blog..looking back, reflecting and seeing how much your skills have improved. You learned all of this in only a year??? I am so impressed. I know this comment is a little late, but still WOOHOO! !